Starting with Tools R12, the SDK Manager offers a slightly better way to update the SDK from command-line. 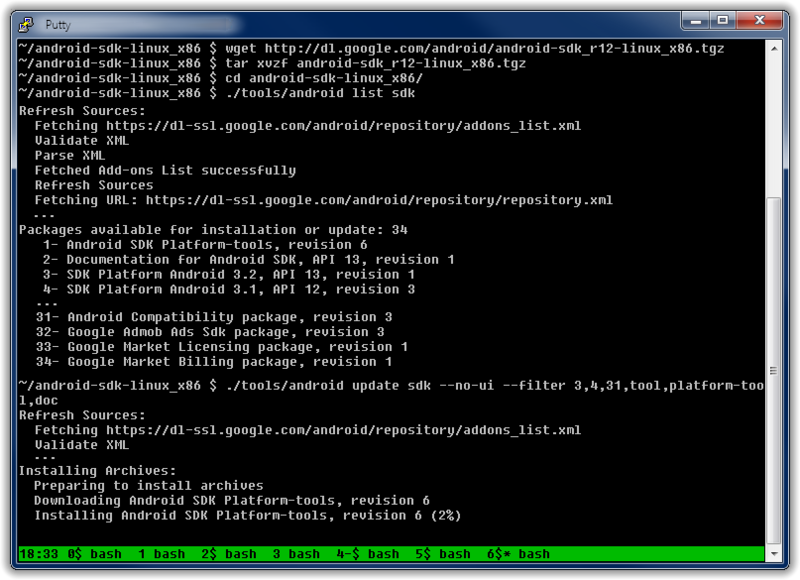 "android list sdk" will connect to the remote repository and list all the packages available with an index number. "android update sdk --no-ui" accepts a "--filter" argument that can take a package index, or a category name. There's still room for improvement, notably in a future release we'll work on the first install case and making the update smarter at figuring out what to get.